Consistent with CENTCOM’s 1995 “sequencing”, the plans to target Iran were activated under TIRANNT (Theater Iran Near Term) in the immediate wake of the 2003 invasion of Iraq. 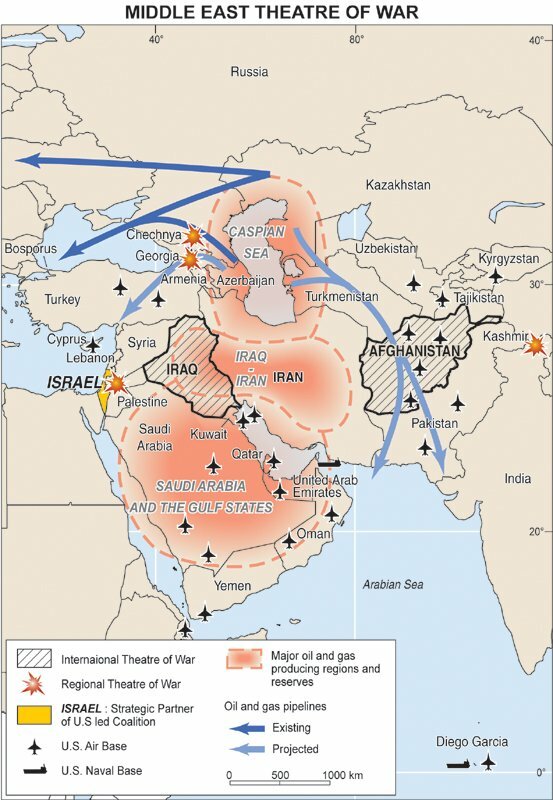 TIRANNT consisted in a model scenario type analysis of a theater war directed against Iran. The analysis, which involved senior military and intelligence experts, consisted in examining different theater scenarios. The following text (in annex) entitled Planned US Israeli Attack on Iran was published three years ago by Global Research in May 2005. It outlines the earlier phase of US-Israel war preparations in relation to Iran. While much of this analysis remains valid, military planning in relation to Iran is now in a much more advanced stage. Moreover, the structure of military alliances underlying the Pentagon’s war plans has also evolved. NATO is now part of the military alliance. Under NATO auspices, in liaison with the Pentagon, British, German, Turkish and French forces are slated to play a significant role in the case of an attack on Iran and Syria. In this regard, it is worth noting that already in 2005, NATO and Israel had established the basis of a far-reaching military cooperation agreement. In turn, Turkey, which from a military standpoint constitutes a significant force within NATO, has a comprehensive bilateral military cooperation agreement with Israel. According to military documents and statements, US, Israeli and allied forces are “in an advanced state of readiness”. In fact much of the war planning had already reached that “advanced stage” in 2005. Several important variables come into play in assessing the possibility of an all out war on Iran. “An advanced stage of readiness” to attack Iran does not signify that a war will actually occur. A number of important countervailing factors must be addressed. Apart from outright war, the US sponsored war preparations serve several other foreign policy objectives. The threat of war coupled by advanced military preparedness are often used to bully countries into compliance, to oblige them to give up their sovereignty, to open up their economy to Western investors, to privatize and sell off their assets to American companies, etc. These threats will only be effective if the country does not have the ability to defend itself militarily. The strength of its national economy is also a major consideration. The Sabre rattling is ongoing in relation to Iran. The objective is ultimately to subdue Iran as a regional power and take possession of its oil wealth, which constitutes approximately ten percent of total world reserves. What are Iran’s military capabilities, namely its ability to defend itself and inflict damage on US and allied forces? The answer to this question involves essentially two aspects. First, Iran has an advanced air defense system, using both Iranian and Russian technology. 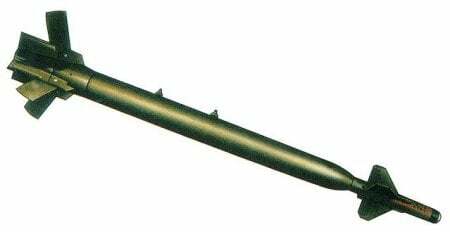 Moreover, it has, according to Western military experts, perfected its ballistic missile capabilities to the extent that it is capable of inflicting significant damage on US and allied military installations in Iraq, the Persian Gulf and Israel. Over the last few years, Iran has been actively preparing for a US sponsored attack. Moreover, resulting from the surge in oil revenues, the Tehran government has enhanced capabilities to finance its military preparedness. In this regard, Iran is in a very different situation to that of Iraq prior to the 2003 invasion, targeted by Anglo-American air attacks under the “No Fly Zone” coupled with more than ten years of deadly economic sanctions. US military planners are fully aware of the possibility of escalation. If extensive air attacks were to be launched, Iranian conventional forces would immediately cross the border into Iraq and attack US military installations. This is a factor which has contributed to “putting the war on hold”. Instead of extensive bombings which would result in retaliation. Washington may decide as a first step in a broader military campaign to launch limited air attacks, on the presumption that Iran would not retaliate. According to Philip Giraldi, the attack would “be as ‘pinpoint’ and limited as possible, intended to target only al-Qods and avoid civilian casualties.” Before launching a “limited attack”, the US would attempt to ensure, through threat and secret negotiations, that retaliation would not occur. Adm. William Fallon, who was recently fired as Commander of US Central Command (USCENTCOM) was acutely aware of Iran’s ability to retaliate militarily and inflict significant losses to US and coalition forces. This understanding was in fact conveyed at the outset of the 2003 war scenarios under TIRANNT. Prior to his dimissal, Admiral Fallon played down the possibility of a war with Iran: “We are not going to do Iran on my watch.”. The chairman of the Joint Chiefs of Staff Admiral Michael Mullen, while broadly supportive of the Bush-Cheney White House, has officially acknowledged US military weaknesses. The wars in Iraq and Afghanistan “may have undermined the military’s ability to fight wars against major adversaries – including Iran.” ( quoted in Haaretz, October 22, 2007). These statements were made at the very outset of his mandate as Chairman of the Joint Chiefs of Staff in October 2007. The appointment of General David Petraeus to the Head of U.S. Central Command (USCENTCOM) has served to neutralize potential opposition within the US Armed Forces. It reinforces Vice President Cheney’s ability to order an attack and ensure that the Military will fully support the Bush administration. The recent armed clashes in Lebanon opposing Hizbollah to the US-Israeli supported May 14th Movement, have precipitated the country into chaos. Fighting erupted after the pro-US Siniora government announced a crackdown on Hizbollah. Hizbollah has taken control of parts of West Beirut setting the stage for a NATO “peacekeeping” intervention inside Lebanon. A greater involvement of NATO coupled with the militarization of the entire Eastern Mediterranean coastline is an integral part of the Iran-Syria war scenario: “a peacekeeping” role by NATO forces, on behalf of Israel, targetting Syria as well as Hizbollah and Hamas. These recent events in Lebanon have been triggered quite deliberately with a view to destabilzing the country. They are part of the US sponsored military roadmap; they are intended to set the stage for a confrontation with Syria. The structure of military alliances is crucial. America’s allies are Israel and NATO. Iran’s allies are China and Russia and the member States of the Shanghai Cooperation Organization (SCO). Both China and Russia have far-reaching bilateral military cooperation agreements with Iran. Since 2005, Iran has an observer member status in the Shanghai Cooperation Organization (SCO). In turn, the SCO has ties to the Collective Security Treaty Organization (CSTO), an overlapping military cooperation agreement between Russia, Armenia, Belarus, Uzbekistan, Kazakhstan, the Kyrgyz Republic, Tajikistan. In the context of US war plans directed against Iran, the US is also intent upon weakening Iran’s allies, namely Russia and China. In the case of China, Washington is seaking to disrupt Beijing’s bilateral ties with Tehran as well as Iran’s rapprochement with the SCO, which has its headquarters in Beijing. In this regard, a military operation directed against Iran can only succeed if the structure of military alliances which link Iran to China and Russia is significantly weakened. There are indicaitons that this Eurasian military alliance underlying the SCO has in fact been strengthened. While currently Iran has observer status, the Tehran government has indicated its desire to become a full member of the SCO. Moreover, in the course of the last year, Iran has strengthened its bilateral ties in the field of energy and oil and gas pipelines with India as well as Pakistan. The positioning of India on the side of Iran in the oil and energy field is another factor which weakens Washington’s influence in the region. History points to the importance of competing military alliances. In the present context, the US and its NATO partners are seaking to undermine the formation of a cohesive Eurasian SCO-CSTO military alliance, which could effectively challenge and contain US-NATO military expansionism in Eurasia, combining the military capabilities not only of Russia and China, but also those of several former Soviet republics including Belarus, Armenia, Kazakhstan, Tajikistan Uzbekistan and the Kyrgyz Republic. The decision to go to war is not made by the Military high command. The decision to go to war is taken by civilians. The US Military is characterised by a hierarchy and command structure. Orders come from above, emanating from the “civilian government”, namely the Bush administration. They are transmitted downwards through the military command structure. Once the order to go to war is taken, it is not discussed or debated, it is carried out by the military. Moreover, in all likelihood, in implementing a “preemptive attack” on Iran, the Bush administration would bypass the US Congress, in blatant violation of Article I, Section 8 of the U.S. Constitution. In practice, the President and Commander in Chief, namely George W. Bush, does not decide. He also obeys orders from above. He follows the diktats of powerful financial and corporate interests. This war is profit-driven. “War is good for business”. It is a money making operation. It results in billions of dollar of profits for Wall Street, the oil giants and the military industrial complex, not to mention the institutional speculators in the oil, currency and commodity markets. The objective of the proposed war is to extend the frontiers of the global capitalist economy, eventually taking control of Iran’s oil wealth. The broader implications of a war using tactical nuclear weapons in the conventional war theater are of no concern to those who decide to go to war. In contrast to previous adminstrations, the Vice President has played a central role in the Bush adminstration, overshadowing the office of the President. In practice, Vice President Cheney, supported by an army of senior officials and loyal advisers, controls the White House. At the same time, Cheney is part of a powerful corporate apparatus, through his links to Halliburton and the role Halliburton has played in defining a profit-driven military agenda. Cheney has personally played a key roie in activating war plans directed against Iran. Cheney is the de facto Head of State, he overshadows George W. Bush, who is mere figurehead. More recently, he has played a key role in pressuring the frontline Arab states into supporting a preemptive attack on Iran. Vice President Cheney has little concern for the likely consequences and the resulting loss of life which would result from the use of both conventional and nuclear weapons. He is fully aware that even a limited air attack on Iran could contribute to unleashing a broader Middle East-Central Asian war, extending from the Eastern Mediterranean to China’s Western frontier. The various scenarios of this broader war have already been envisaged. We are at the crossroads of the most serious crisis in modern history. These war plans coincide with a parallel process of economic restructuring and a deepseated Worldwide economic depression. War and globalization are intimately related processes. The militarisation of the Middle East and Central Asia supports the extension of the global “free market” system into new frontiers. In turn, the war has heightened the economic crisis. The civilian economy is collapsing, overshadowed and undermined by the dynamic growth of the military industrial complex, which in a very real sense produces “weapons of mass destruction. In turn, the concurrent hikes in the price of crude oil, in the price of basic food staples, through speculative activities on major commodity exchanges have contributed to impoverishing millions of people. “The antiwar movement must act, consistently, to prevent the next phase of this war from happening.